If ever there was a time when we would see the property market in Melbourne correct this weekend was it.You see the REIV reported a record 1935 auctions to be held over the weekend in Melbourne. Of those, 1462 were actually reported and 73% were sold rate with 20% of results still unaccounted. I would expect the final clearance rate to be around the 70% mark which is quite normal and shows resilience in Melbourne’s property market on very big volumes. It seems a number of vendors had the same idea and tried to beat the Melbourne Cup long weekend. Our experience very much reflected the above results as we had a higher the usual number of properties to purchase and sell on the day, four in total. Of the two sellers and 2 clients buying we were able to secure two sales and one purchase which was a great outcome! Each of our four properties varied in type, between a house in Mentone, 2 bedroom apartment in Hawthorn, a 3 bedroom apartment in Middle Park and an original house in Newport. However the similarities were the strong interest and multiple bidding come auction time and all properties being sold under the hammer. A mix of first home buyers and buyers trading up and many young families appeared to be the main players bidding at the auctions we were involved with over the weekend. 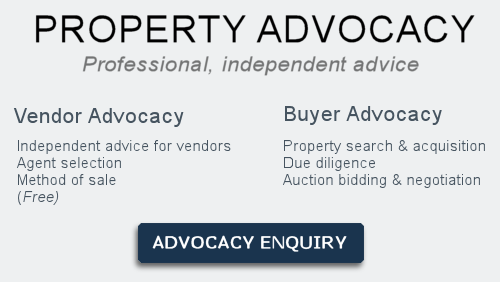 The most active auction areas were Reservoir, South Yarra, Mill Park, Bundoora and Brunswick. Except for Bundoora all other suburbs had clearance rates below 73%. Balwyn was one of the worst performing suburbs with only two properties (reported) sold and 9 passed in over the weekend. Although across Melbourne we are still witnessing some runaway auctions, this is becoming more of a rarity rather than the norm as has been the case in the past. Buyers are coming to auctions well informed and with a price limit knowing that if the vendor’s price is not realistic there are many more options. A higher supply of properties in the market is certainly giving buyers more choice and opportunities. Congratulations to Mick and Chelsey on their purchuse of their new family home in Mentone. Zoran for the sale of his property in Newport. Finally, thanks to Michael for allowing us to handle the prparation and sale of a two bedroom apartment in Hawthorn East where we achieved $85,000 over the reserve price. Victoria’s State Government’s plan to assist more people into their first home appears to be working. According to new figures from the state’s Treasury department show 2742 new homeowners paid no stamp duty at all and 429 received concessions in the three months after the new measures kicked in on July 1. The total number of beneficiaries, 3171, was more than double the 1435 to receive stamp duty reductions in the same period last year and almost triple the 1171 recipients in the three months before the reforms. The state property tax was scrapped for purchases under $600,000 and concessions were introduced on a sliding scale for those between $600,000-$750,000 (REA). Housing affordability continues to be an issue in Melbourne and Sydney (June Qtr 2017) according to Corelogic’s Cameron Kusher. To buy a median house in Sydney it will take 9.1 years (assuming all money is saved) and 7.5 years in Melbourne. Most other capitals are around 6 years. Strong economies and employment continue to be the main drivers determining where people want to live and work. An interesting article published over the weekend by the Age showed a strong correlation between Melbourne’s wealthiest areas and hours at work, with neighbourhoods clustered around the central business district recording the highest rates of full-time work and overtime. It highlights that more than one in five workers living in the council areas of Port Phillip, Yarra, Stonnington and Bayside, put in 49 hours (or at least nine hours of overtime) a week. In St Kilda, on the Melbourne foreshore, 54 per cent of workers put in more than 40 hours a week, while in Toorak the share was 51 per cent. Slightly north, 56 per cent of employees living in Prahran worked 40 hours a week or more. In Southbank the share was 53 per cent. Those areas where only 40 per cent of workers put in 40 hours a week or more were all scattered through the city’s western and eastern fringes, from Hume in the north-west to Casey in the south-east. The number of hours Australians work influences not only their income, but has an impact on the homes they live in, their family units, educational background and the industries they are involved in, the 2016 census figures show.